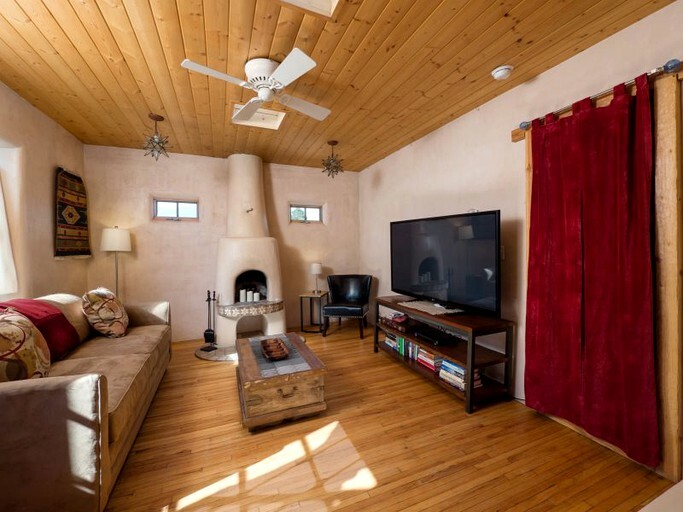 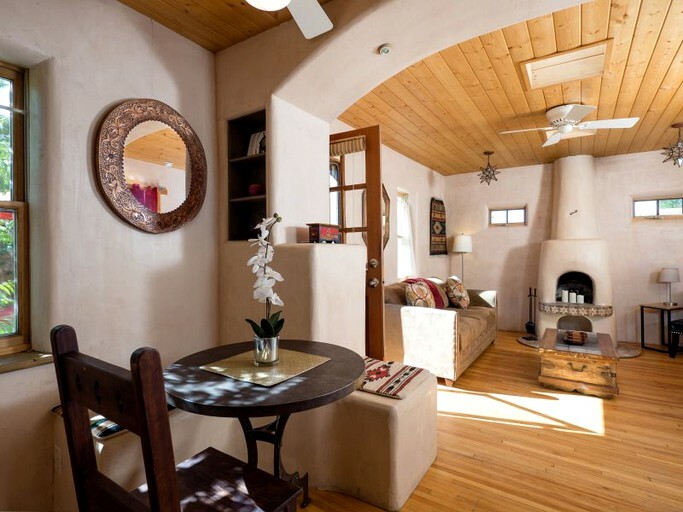 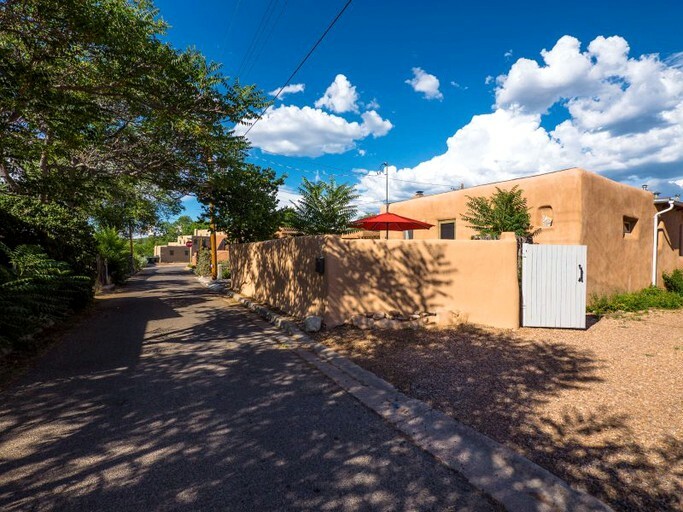 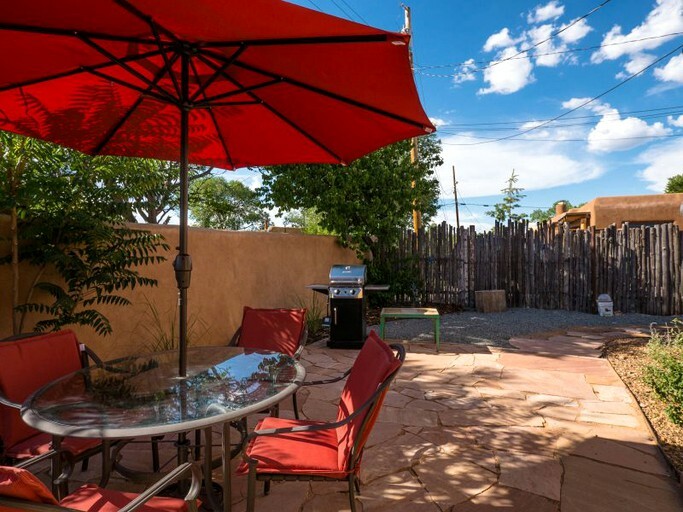 Set in the Guadalupe District of Santa Fe, this adobe rental captures the magic of New Mexico and is located a half mile from the Santa Fe Railyard and a half-mile from the Santa Fe Plaza. 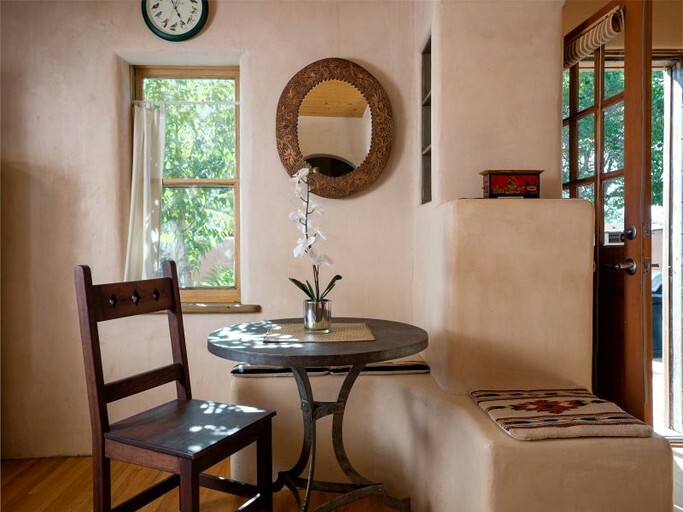 This one-bedroom hideaway offers an escape on a narrow, tree-lined road in the heart of Santa Fe. 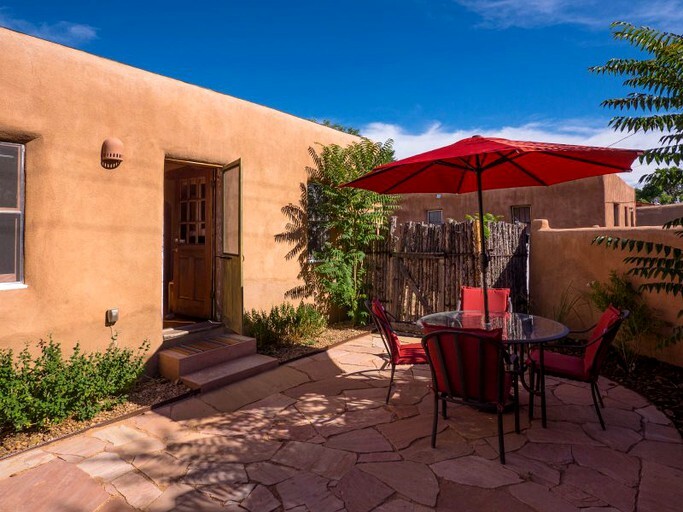 It offers an updated design within walking distance to the city’s most celebrated restaurants, art galleries, museum, cafés, and shops. 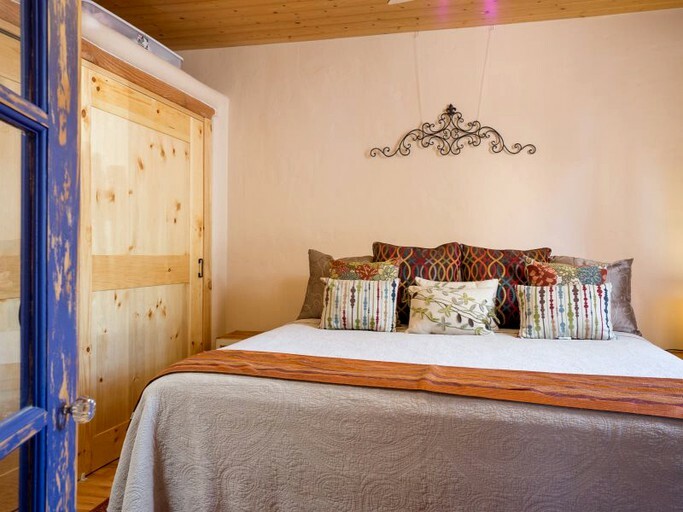 With natural light in every room, this cabin comes set with a romantic bedroom with a king-size bed, a colorfully tiled and fully-equipped kitchen, an enchanting bathroom, a relaxing living room with a queen-size sleeper sofa, and a 60-inch plasma TV with cable. 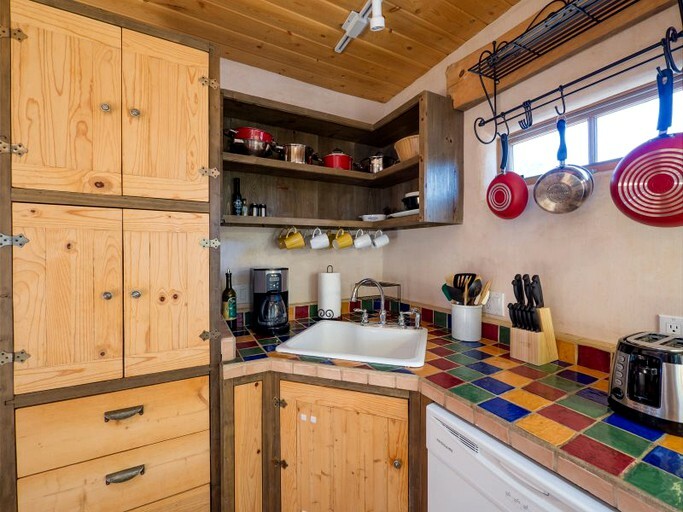 In the kitchen, guests will have pots and pans, dishes and glassware, cooking and dining utensils, a microwave, a coffee maker and a toaster. 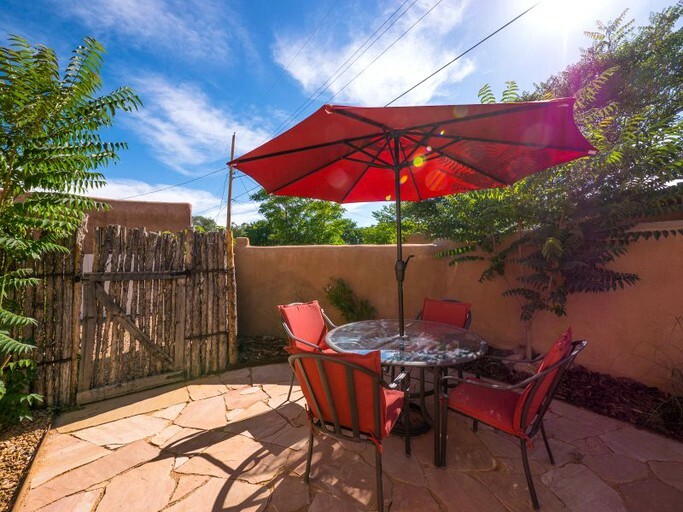 Additional amenities include a blender, Starbucks coffee, and a French press. 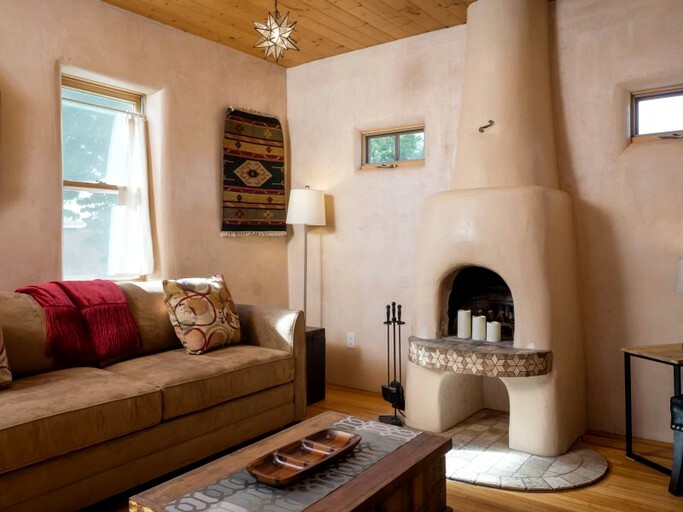 This cabin boasts wood floors and ceilings, terra cotta tile, hand-made cabinets, diamond plaster walls, whimsical light fixtures, and a classic wood-burning kiva fireplace. 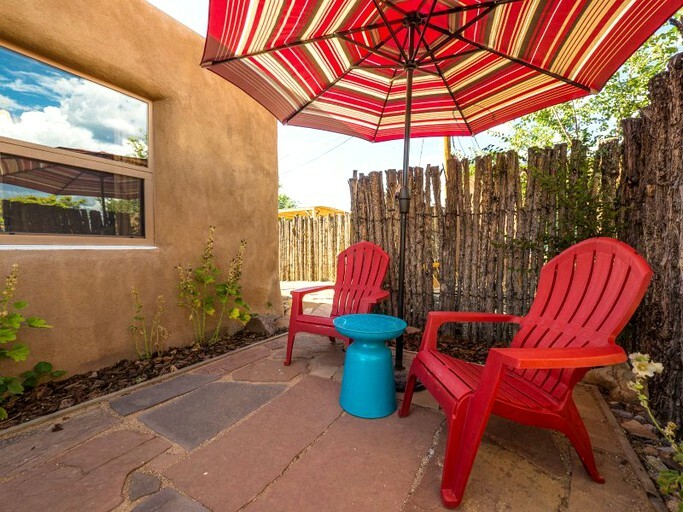 This home is spotless and stocked with everything guests will need to enjoy their stay including two televisions with cable, high-speed internet, two outdoor landscaped patios and an outdoor gas grill. 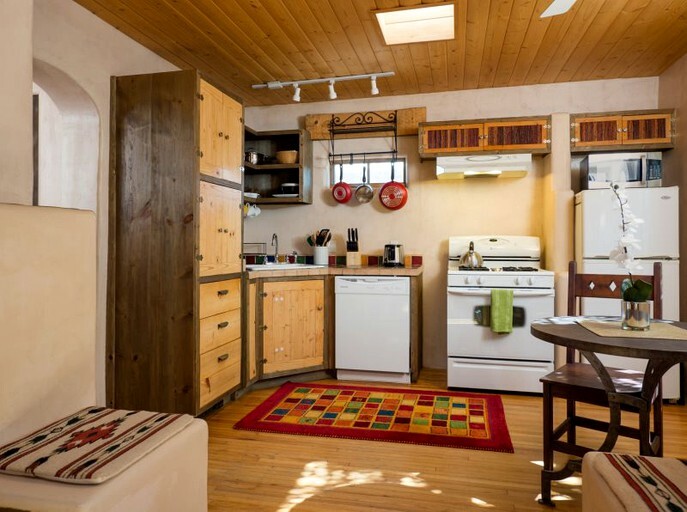 Glampers will also have am iron, an ironing board, laundry facilities and dishwasher detergent. 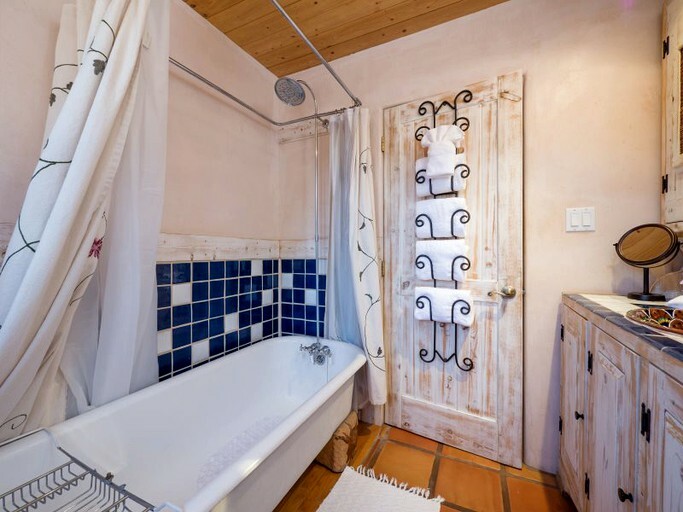 Lastly, fluffy towels, high-quality linens, closet space, shower gel, shampoo, and conditioner comes included. 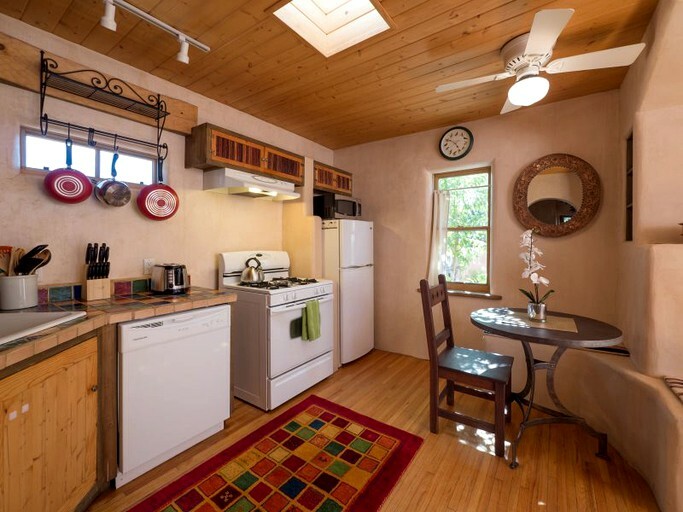 Guests here will have a full kitchen with coffee, sugar, and creamer. 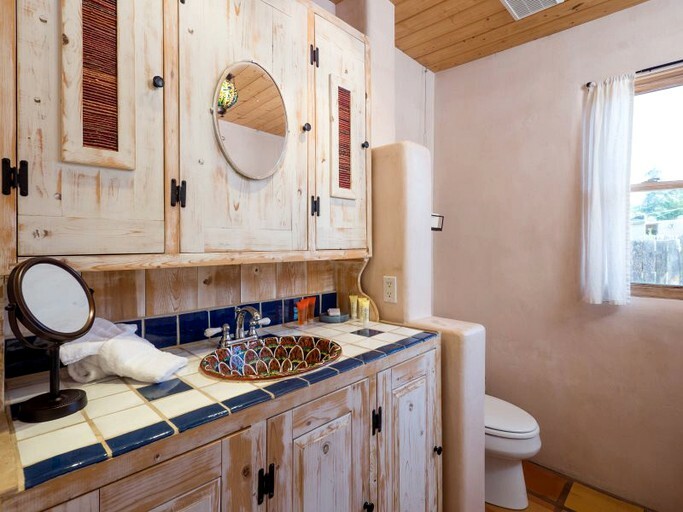 There is a full bathroom with a shower, a bathtub, and linens, as well as towels, shampoo, and soap. 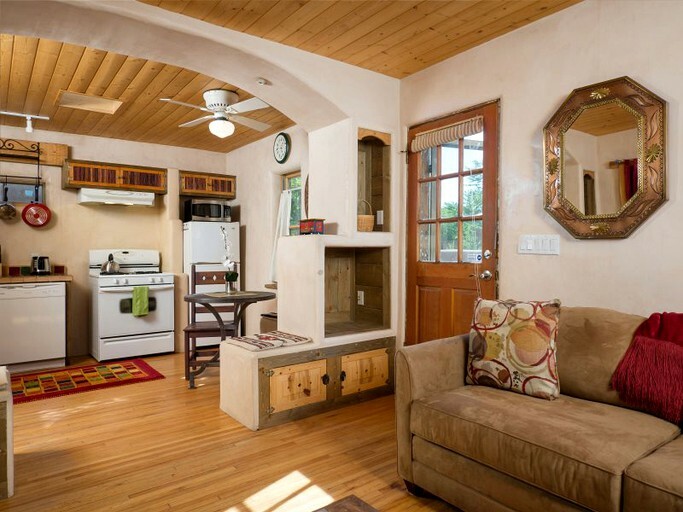 Guests will have heating and cooling units, a washer and dryer and a dishwasher. 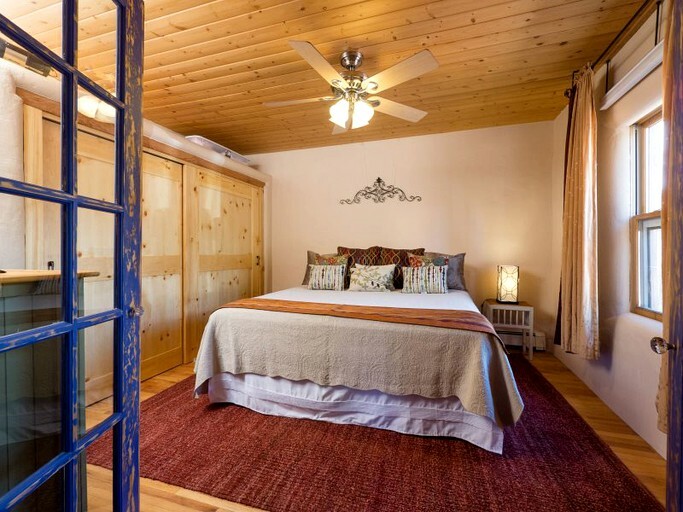 Furthermore, guests will have a hair dryer, an iron, and an ironing board. 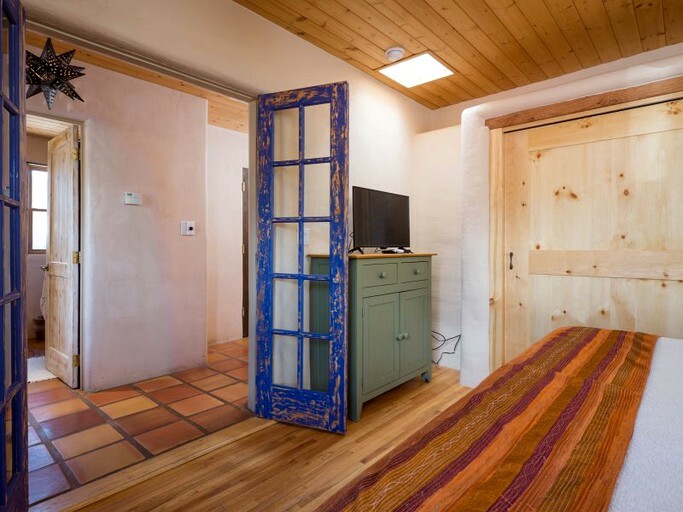 Guests will also have free internet and cable, two 60-inch plasma screen televisions, and plenty of parking. 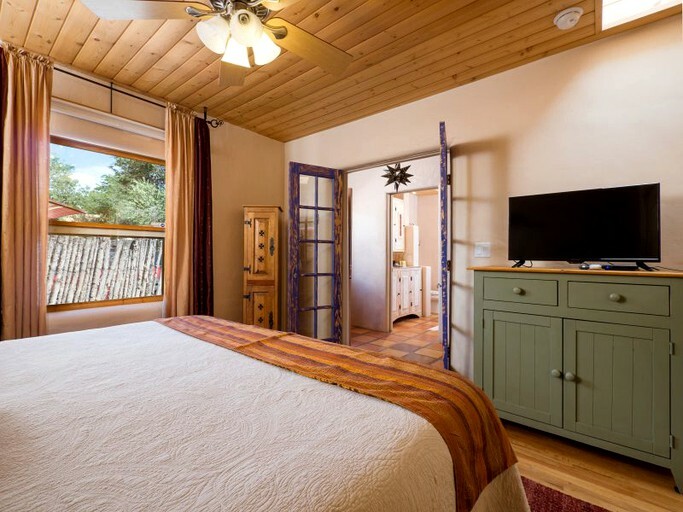 There is a minimum stay of three nights at this rental. 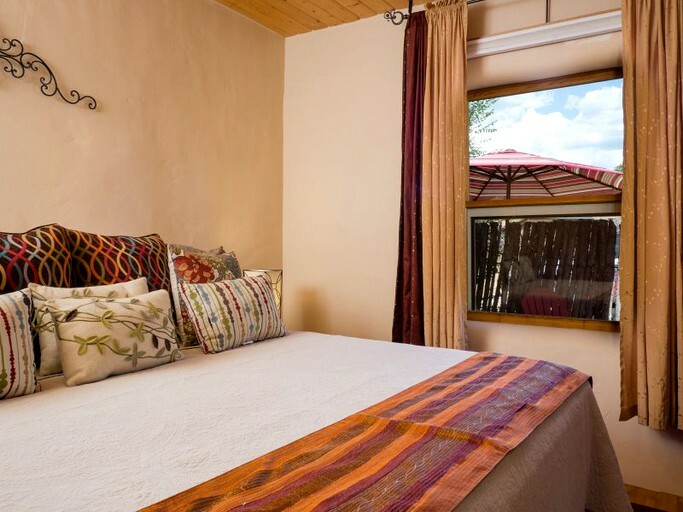 Official check-in time is 3 pm MST and check-out time is 11 am MST. 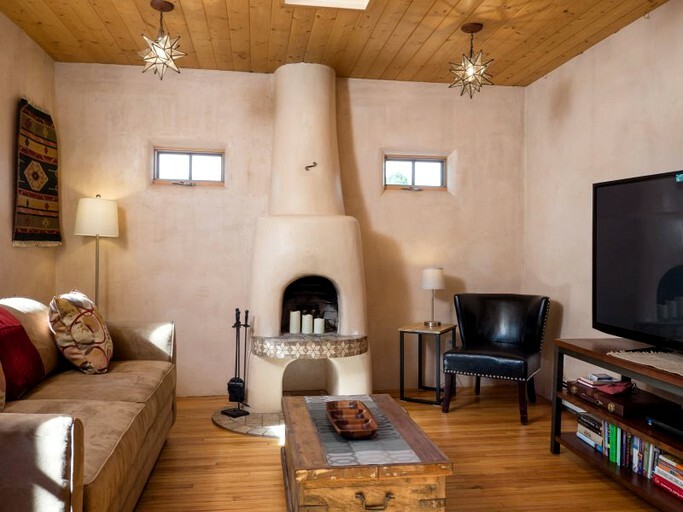 Fireplaces are turned off from May 15th through September 15th.